As we turn our calendars over and embark on another new year, our thoughts turn to starting over, making things better in the coming year, resolving to change things in our lives. Often these efforts are short-lived and have little lasting positive effect on our lives. The Bible has much to tell us about making a new start that can make this New Year truly different. Let’s look at the typical approach to bringing about change in our lives and compare it to God’s approach. One approach to making changes in our lives is to focus on the negative things in our lives and attempt to change them for the better. This seems rather intuitive and there is no shortage of self-help books, tapes, and lectures that will prescribe this approach. So why does it so often fail us? Because it operates under the direct influence of our sinful human nature. We enter an improvement plan with a lot of enthusiasm and energy but over time we gradually revert back to old habits and behaviors. What really happens underneath is we are in a continual battle with the very sinful nature that drew us into the negative behaviors in the first place and we simply tire from the fight and relent. We are trying to change the old. God’s approach to improvement and positive change is completely different. 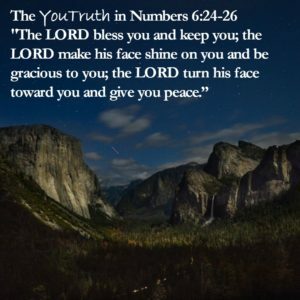 New Mercies – God extends new mercy to us each day (Lamentations 3:22-23). Each day is new opportunity to receive His lovingkindness and to start fresh. Nothing that has happened in the past, whether on the previous day or in years past, can in any way remove the love and forgiveness He has ready and waiting for us is each day. To God, every day is New Year’s Day, filled with the opportunity and promise that we tend to assign only to January 1! New Hearts – God does not promise to change our hearts, He promises to give us new hearts and then fill them with His Spirit! (Ezekiel 36:26) The Bible likens our human, sinful hearts to stone, hard to penetrate, hard to change, well, just simply hard like stone. So rather than offering to chisel away at it, He offers to take it away and replace it with a heart that is soft, pliable and able to contain His Spirit – His very power to help us focus on those things that He focuses on. New Creations – Armed with new hearts that are filled with His Spirit, acutely aware of His never ending mercies, we are not who we used to be, drug down by our sinful nature, but we are new creations, reborn into new lives. (John 3:3) God sent His Son Jesus into the world for the very purpose of making us new. (John 3:16) Jesus taught that patching the old wasn’t the answer, but being made new in Him was the key (Matthew 9:17). This new year, you can truly change things by giving the old to God and letting Him replace it with the new. That’s the truth. 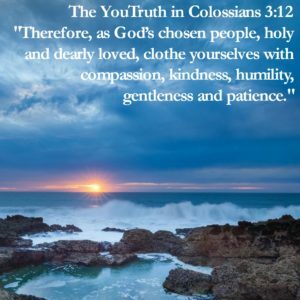 If you are in Christ, you have a new, soft heart filled with His Spirit. The old hard heart of stone is gone! If you are in Christ, you can confidently receive His new mercies every day. You don’t have to wait until another New Year’s Day to come around in order to start over! If you are in Christ, you are a whole new creation. The old is gone, the new has come! That’s the YouTruth. In Christ, You Are A New Creation. As we celebrate Christmas and commemorate Jesus coming to earth, it is right for us to ask and answer a very basic question – why did He come? Fortunately, Jesus Himself answered this question, and in His answer, we can find the greatest reason of all to celebrate this Christmas – He came that we may have abundant life. Let’s explore what Jesus did in relation to the abundance that is promised. Jesus’ story doesn’t begin with His birth. In fact, Jesus’ story has no beginning or end. Jesus has, for all eternity, been together with God (John 1:1). He left this position of utmost abundance to be born into the world in human form. In so doing, he entered into quite the opposite situation. He was born in a stable because there was not a more suitable place available in Bethlehem (Luke 2:7). His earthly family was poor enough that when they went to the Temple after He was born, they gave an offering of two turtledoves which was specified for those who could not afford to offer a lamb (Luke 2:24, Leviticus 5:11). Soon after He was born, his family had to seek refuge in a land unfamiliar to them (Matthew 2:13). Once they were able to return to Israel, they located in Nazareth in Galilee, which was widely considered a place of second-class status (John 1:46). What a contrast from His heavenly abundance! Peace – hearts free from anxiety and filled with gratitude (Phillipians 4:7). Love – an eternal, unconditional love of God that will never change (Psalm 136:2). Jesus came from the highest abundance and was born into this world in the most ‘un-abundant’ of ways. Because He did, we can exchange the ‘un-abundant’, cheap imitation of life that exists in this world for an abundant life filled with Hope, Joy, Peace, and Love. That’s why He came. That’s the truth. Jesus can that you may have life; that you may have a life filled with hope; that you may have a life filled with joy; that you may have a life filled with peace; that you may have a life filled with love; that you may have a truly abundant life! That’s the YouTruth. 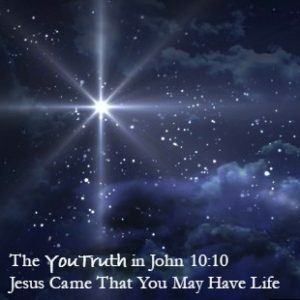 Jesus Came That You May Have Life. The Christmas holiday season is the most observed, most significant period on most family calendars in our country. For weeks we prepare, many times in all-consuming ways, for the biggest holiday of the year. While there is nothing wrong with devoting so much time and energy remembering and celebrating Jesus’ birth, it is easy to assign undue significance to the event. Of the events that reveal Jesus’ nature as the Messiah, the Savior, His birth may be one of the least significant! In fact, there would be nothing about His birth to celebrate, were it not for three other events that truly define Jesus Messianic nature. Let’s devote some time to understanding these events and then return to our birthday celebration and truly celebrate! The Bible tells us that Jesus was born to a woman who was a virgin. Jesus was not conceived through natural means, but by the power of the Holy Spirit, by God Himself (Luke 1:31-35). Jesus was thus conceived with a divine nature and a human nature, getting His divine nature from His heavenly Father, God, and His human nature from His human mother Mary. Only a Savior conceived in this manner would have the dual nature required to provide the way to salvation. If either the human or divine component were to be missing, salvation would be impossible. Were it not for God’s direct involvement in Jesus’ conception, His birth would have been meaningless. Let’s continue on to see why this is so. The Bible tells us that Jesus led a life that was without sin (2 Corinthians 5:21). 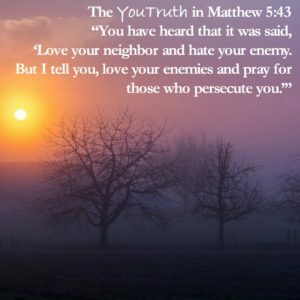 This is the most significant truth about His life on earth, yet it usually takes a back seat to His teaching, healing the sick, calming storms, walking on water and bringing dead people back to life. 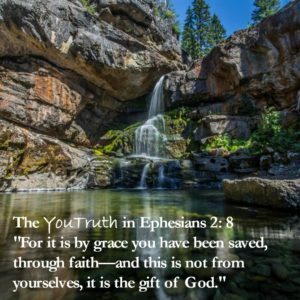 While all of these acts revealed that Jesus possessed divine power, they would all be meaningless, if they were accompanied in Jesus’ life by even one sin. Only Jesus, because He was conceived with both divine and human nature, could accomplish living a sinless human life. Since we have not been so conceived, sin is a part of our life. Let’s continue on, to tie this all together. Now let’s return to Jesus’ birthday celebration. Because He was conceived as He was, lived as He lived, and died as He died, we truly have something to celebrate each Christmas! That’s the truth. For unto you is born this day in the city of David a Savior, who was conceived by the Holy Spirit for you, so He could live a sinless life for you, so He could pay a penalty of death not required of Him, so that He could offer His death payment to you. This Savior is Christ the Lord. He has done this all for you! That’s the YouTruth. 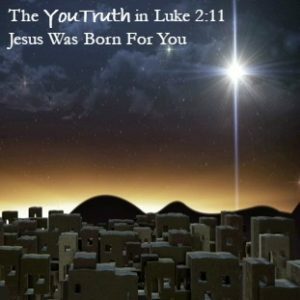 Jesus Was Born For You. The old Beatles song told us, “Love, love, love, all you need is love.” Well, they got it wrong. It takes much more than that. You see, love without perseverance will wither quickly in the face of an unloving world, not matter how love-love-loving it is. That’s not to say that love is not needed, it certainly is. Perseverance without love always results in horrible outcomes. The work of [enter evil dictator’s name here] is resounding testimony to this fact. Love and perseverance must work together in order to be effective. But that’s not all. Love, is an action. Actions take motion. Motion requires direction. For you, as a lover of Christ, direction requires that two things come together—God and your heart. While your hands and feet may set you in motion, your heart provides the direction. Allowing God to point your heart to the loving work He has for you is the final piece to the puzzle. Now, and only now, will you have all the necessary ingredients to love, love, love God’s way. God’s direction—points your heart into God’s love. God’s love—draw upon it. It is the love so deep that He sent His Son to the cross to save you. 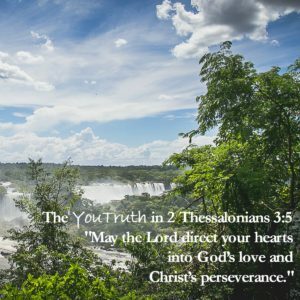 Christ’s perseverance—for when the going gets tough. Tap into the perseverance of Christ, the very same perseverance that carried Him all the way through the pain and suffering at Golgotha. Now you’ve got “all you need.” Go out into the world, and get after it!